The Real Happy Cow (TRHC) is a food service and distribution business for people who are transitioning into veganism. Lakapati Basa, its 38-year-old founder, quit her corporate job last year in order to focus on TRHC. She runs it with a small team so she needs all the help she can get. Basa says she sometimes works on marketing collaterals herself, and for this, she has the help of a graphic design tool called Canva. It’s a similar story with 26-year-old Louie Peralta. With his girlfriend Ginia Tecson, he founded Delikscious Foods, which sells what they call “the world's best chocolate chicken skin.” He first heard about Canva through articles and online videos that recommended it as a platform to use to create marketing materials for lean-bootstrapped-online businesses. 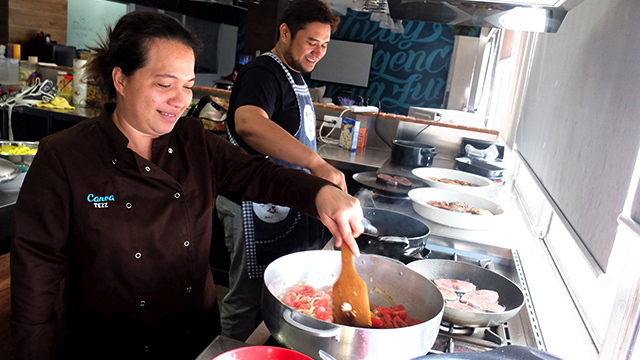 Both Peralta and Basa say that Canva has been a big help in their respective businesses. For Canva co-founder and CEO Melanie Perkins, the stories from their communities are what makes the team most proud. 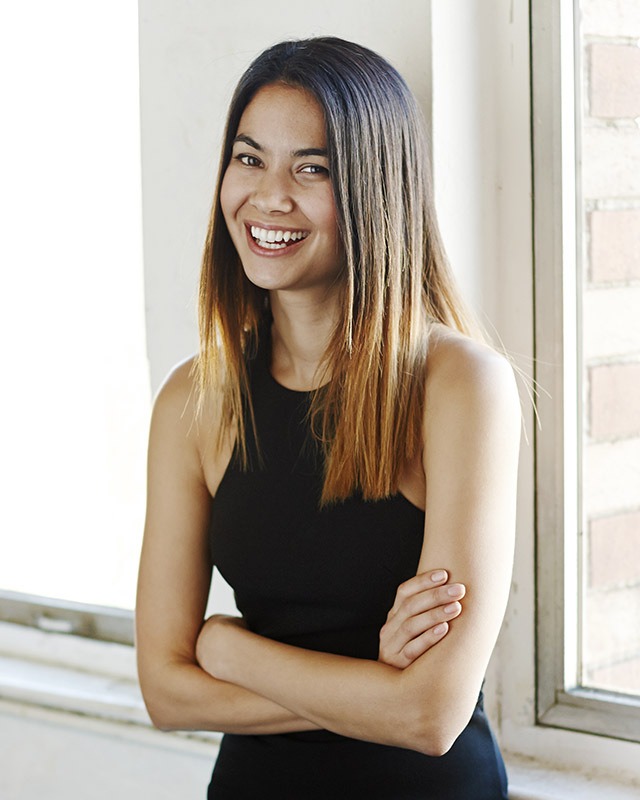 The 30-year-old Australian with Filipino blood launched Canva in 2013 but says it had been gestating in her mind for a long time before that. From its humble roots in Sydney, Canva has since grown to become Australia’s latest unicorn, or a startup with a valuation of more than $1 billion, after closing a funding round worth $40 million earlier this year. The platform allows users to design virtually anything from simple posters and fun stickers to complicated graphs and billboards. Designing is free, but users can purchase a font or an image, which starts for as little as $1. Although the company also has a subscription model called Canva for Work, which is used by small-scale entrepreneurs and Fortune 500 companies, Perkins says they have always strived to make the platform as affordable as possible. “Regardless of someone’s income, they should be able to use it,” she says. “We try to keep the price point for our premium stuff in our photography library really down so it’s affordable." The platform has plenty of free images, as well as about 19,000 not-for-profit images which users that user with the premium license can use for free. 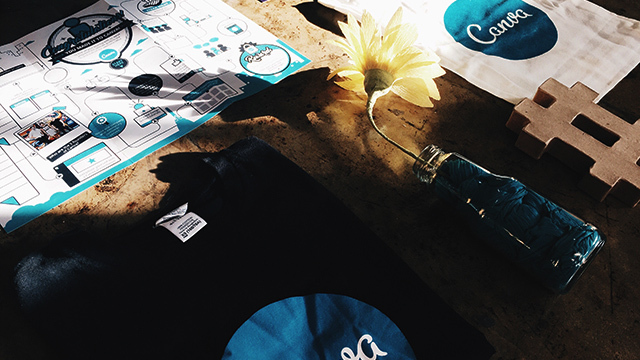 In 2014, Canva opened its second office in Manila. Perkins says it was an easy decision after finding a bunch of motivated and creative individuals here. 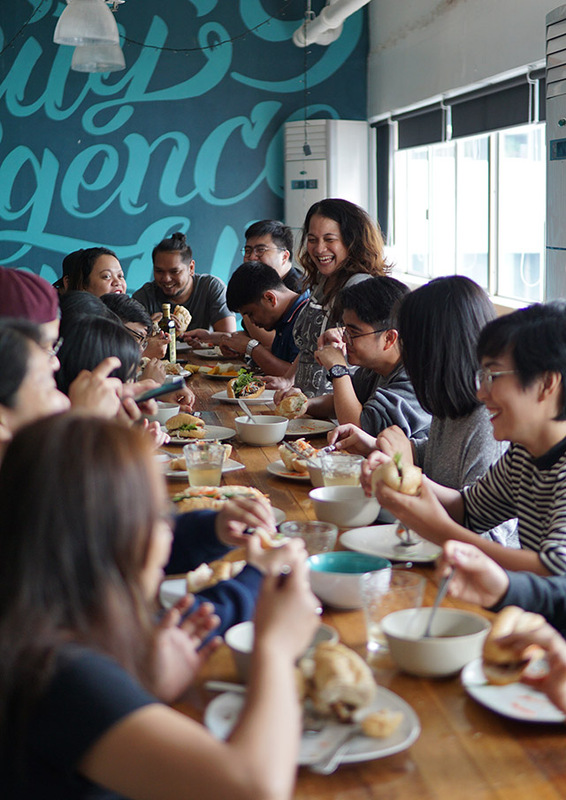 As of mid-March, Canva was looking to fill at least 26 positions for the Manila office alone and Perkins says they’ll be needing more. “We feel like we’ve done less than one percent of what we think is possible,” she says. 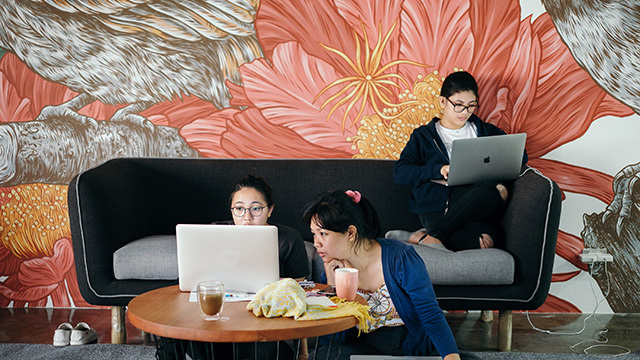 “There’s so much to do in every single front, from our products, to reaching so many more people.” Canva currently has about 10 million registered users in 190 countries. With over three million images, the platform is also available in over 100 languages, including Tagalog and Cebuano. One of these is 28-year-old Gen Abanilla, who co-founded Seazoned Philippines, a business that offers freediving and skindiving lessons specifically catered to beginners and non-swimmers. Instead of a more technical app like Photoshop, Abanilla says she uses Canva to create social media posts and says it has made a huge impact on the company’s social media following, especially on Facebook. Like Peralta and Basa, Abanilla says she wouldn’t hesitate to recommend Canva to other small businesses. “For a business like ours, which is run by two people, with me as the marketing person, Canva has been a huge help,” she says. “Despite having zero graphic designs skills, Canva empowers small business owners and their teams to create and captivate customers with their in-house designs instead of outsourcing it to someone outside the organization, who may not exactly share the same vision as they do,” says Peralta.